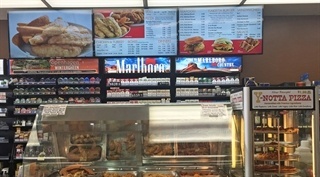 Whether you need menu boards, POP materials, directional signage or any other custom product, The Howard Company has solutions as varied as there are convenience store needs. Our digital menu board displays are state of the art, and can be controlled from one computer for multi-location operations; we offer an optional no recurring fee for hosting WAN capabilities. Limited space? 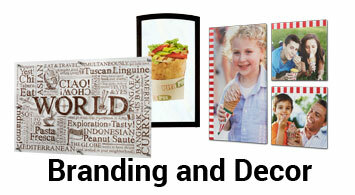 Consider using our new 38" stretch screen to display menu items or promote lottery campaigns at your check-out stations. 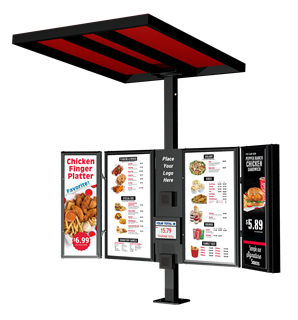 Static menu board solutions in designs to fit your décor and site requirements include back-lit (illuminated) menu boards and front-lit magnetic menu boards in many panel sizes and shapes. 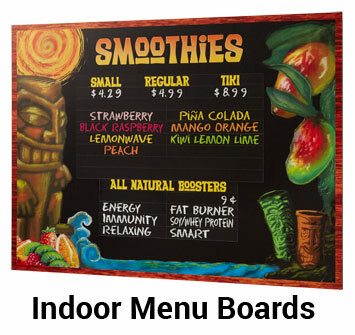 Our menu boards can define your c-store food service area and increase in-store impulse food sales. Joining the new trend to include a drive-thru operation as a part of your store? The Howard Company has a complete drive-thru solution including directional signage to guide your customers and increase your bottom line.